Making your first 10K online, whether that’s dollars, pounds, euros – whatever – is a big deal. It’s a substantial sum in any currency and it provides an enormous shot of peace of mind for several reasons. There’s proof of concept for one thing: It works – all that training, working out new things, placing ads, writing blogs, shooting videos has paid off. Big time. Best of all you know that if you can do it once you can do it again and again. But how do you get to that fabulous. Life-changing landmark? At the end of this post you’ll be able to register for a free webcast with multi millionaire Internet entrepreneur co-founder of SFM and DEA Stuart Ross. 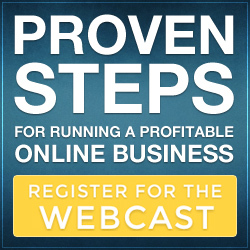 The webcast is titled How to make your first 10k online (oddly enough) He’ll explain how possible this is for anyone with the right mindset, training, tools and strategies. Best of all he reveals how you can do it with no products of your own, no staff, fancy equipment or special premises. More importantly without silly get rich quick tricks, complicated ideas or MLM style business models. For over 8 years now Stuart and business partner Jay Kubassek have been teaching individuals and traditional businesses how to create financial and time freedom on the Internet. They’ve developed turnkey digital business systems, training and mentoring courses and a global community of new Internet entrepreneurs. In that time they have partnered with online learning platforms like Lynda.com and have grown an impressive technical and leadership team. SFM and DEA run regular live events in the UK, USA and Australia. In short these guys know a thing or two about making your first 10k online. They also know how to scale that to a monthly, weekly, daily income by sharing the same strategies they used to move from 6 to 7 to 8 figure online businesses in multiple niches. In short these guys are worth spending an hour of your time with if making your first 10k online is your goal. Register for the webcast at a time of your choosing on the link below.